To celebrate Stampin’ Up! has some great specials from 1st-5th October. Contact me to arrange a date that suits us both….don’t forget to ask your friends if they would like to take part too. Or if you like I can come to your house and bring the supplies needed minimum of 6 people. 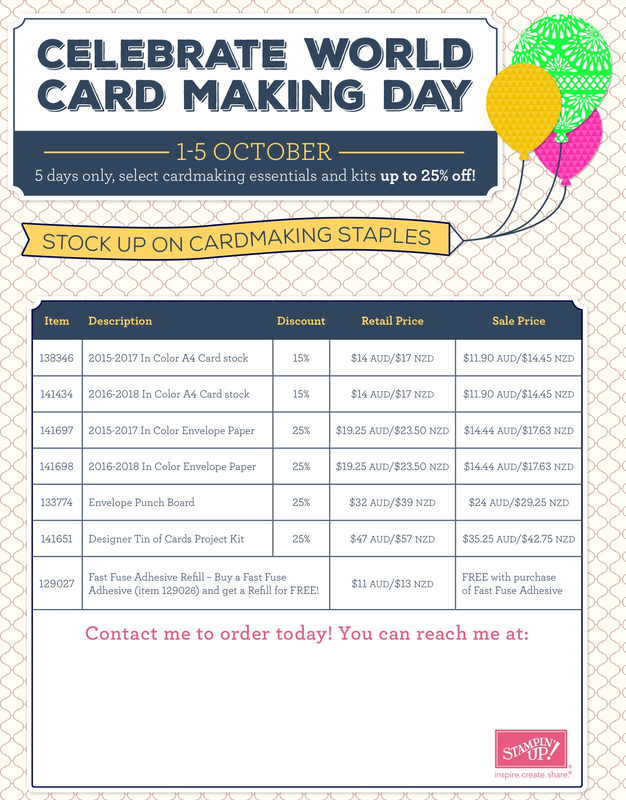 Categories: UncategorizedTags: card making ferntree gully, crafts, Designer Tin of Cards, Envelope Paper, envelope punch board, Fast fuse, hobbies, Scrapbooking, Stampi' Up!